Maun Vrat literally means a vow to keep silent. For spiritual growth it is essential that one’s speech must be pure. To acquire purity of speech the practice of silence is important. Hindu religious texts commend maun-vrat for this purpose. In Bhadon, sixth month of the Hindu calendar, 16 days of maun-vrat are said to be useful. It is believed that through silence one is able to achieve one’s desire. 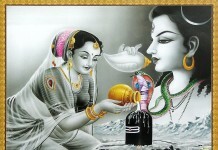 One attains the abode of Lord Shiva. Along with maun-vrat it is essential that some time must be spent in offering prayers. Why is there an emphasis on silence? We all know that if speech is silvren, silence is golden. Silence helps to conserve energy, to concentrate and introspect. It helps one in the search of divinity. By observing silence one gains goals easily. Near the capital of Ajatshatru’s empire, GautamBuddha was meditating with his 1000 disciples in a Mango grove in Rajagraha (current days Bihar). At the same time Ajatshatru was not keeping well and he was persuaded by his physician Jivaka to go and visit Buddha in Rajagraha. Earlier under the influence of his mentor Devdutta, king Ajatshatru had killed his father Bimbisar to become the emperor of the Magadha empire. He also had conspired to eliminate Buddha on the advice of Devdutt. Therefore after much reluctance, king Ajatshatru conceded to visit Buddha in the mango grove. So a day later when Ajatshatru entered into the mango grove along with Jivaka, the physician, there was much silence in the forest and that made him tremble with fear and he suspected this as a ploy to kill him by his conspirators. He drew out his sword and asked his companions about where are the thousand people they were talking about. And that he had been here earlier as well, but this jungle was never so silent, even the birds were silent that day.Then he saw Buddha sitting under a mango tree, and a thousand monks sitting silently in meditation. 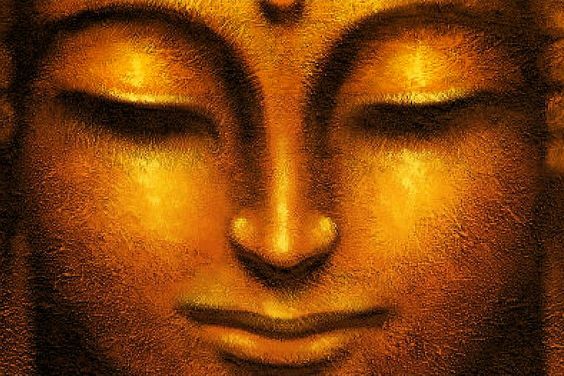 A little while later, when Buddha opened his eyes, the king asked him about why everything was so still and calm here, as if everybody was dead there? Buddha replied – a lot of things have happened to them, they are no more mad. Until unless one is silent and calm with oneself, one cannot know the existence, what is life, what is happiness and what are the blessings of life. Today in the company of a thousand of silent monks, even the trees, animals and birds have joined chorus of the song of silence. 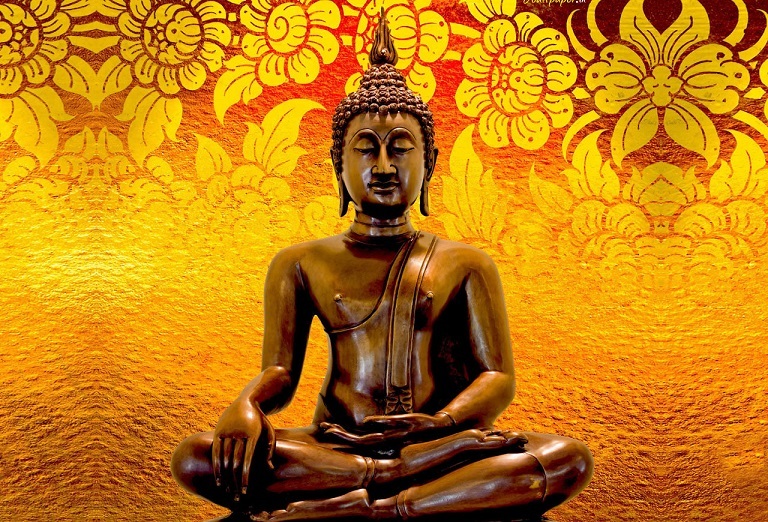 Buddha forgave Ajatshatru for his misdeeds and told him to follow the path of peace. That night for the first time the king slept well. This visit of the king Ajatshatru is famously depicted at the site of Buddhist Stupa in Bharhut in Madhya Pradesh (india). Another tale relates to the famous esotericist Peter D. Ouspensky. Ouspensky under the influence of his teacher George Ivanovich Gurdjieff, went into a month of silence and seclusion in a house in Russia. He lived in a dark room for 30 days, with nothing to read or listen to. His food was given at regular interval without any communication. On 31st day when Ouspensky came out of the room and he roamed on the streets, everything looked to him like a miracle or dream or maya. People walking on the streets seemed to him like unconscious (crazy) people moving aimlessly. He felt a new surge in his senses, his sensitivity and inquisitiveness had increased manifold in last 30 days. He has written about it in detail in his book ‘In Search of Miraculous’. Probably this dream world is what is called Maya by great Hindu philosopher-saint Adi Sankaracharya. Speech is the spit which one licks for a living, the balance is stored as Samskaras to ensure continuity of life further on. What ever one speaks becomes his diet for tomorrow, there is no escape, one must necessarily eat it back, that is the law. The only word which one would eat and still move forward, towards salvation, is The Naad Brahmam The Primal Sound Om or Sairam, Hare Krishna, Allah Ho Akbar, Waheguru….an aspirant thus must put reigns on his speech, take a vow of silence and spend lifetime in Simran (remembrance of Truth) and Service.